Tokyo has the best sushi restaurants on earth. Here is my hand-picked selection of the best approachable sushi restaurants in Tokyo in every price range. The restaurants listed here are all excellent and, more importantly, approachable. Sure, there might be a few places in Tokyo that are slightly better, but many are astronomically expensive or unwelcoming to foreign travelers. The places listed here are all places you can actually visit and enjoy. 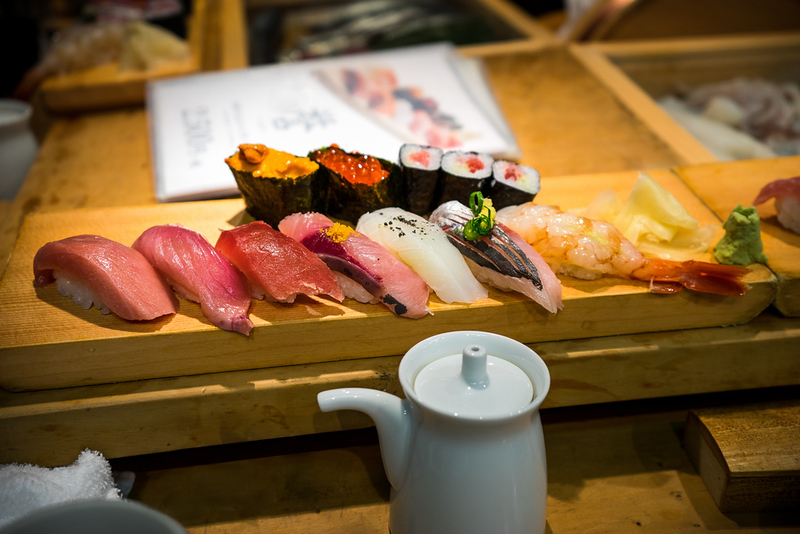 Delicious, refined and approachable sushi in the heart of Ginza. Upscale and elegant sushi without a lot of attitude. High-end but approachable sushi in Ginza. Excellent sushi sets for a reasonable price right in Tokyo station. Great mid-range sushi near Tsukiji Market. More great mid-range sushi near Tsukiji Market. Just far enough from Tsukiji Market to be peaceful, this small place is where I go when I'm in Tsukiji.